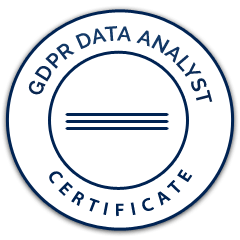 This Level 4 apprenticeship is typically 18 months in duration and is suitable for employers looking to further train key GDPR stake holders to collect, organise and study data to provide business insight. Data analysts are typically involved with managing, cleansing, abstracting and aggregating data, and conducting a range of analytical studies on that data. This course provides the next level of progression for a GDPR Practitioner.